Harare in the 1980s was affectionately referred to as the sunshine city because of its cleanliness. The city was orderly with well-maintained roads, bright street lights and clean running water and the blooming jacaranda trees also gave the it a unique view. But things have taken a bad turn as the city has been decaying since the 1990s. Buildings are now resembling a war zone and children hang around on street corners with nowhere to go and homeless people tell stories of disease and crime. These pictures reveal real-life scenes from an urban area hit-hard by the recession and still stumbling dangerously into poverty. 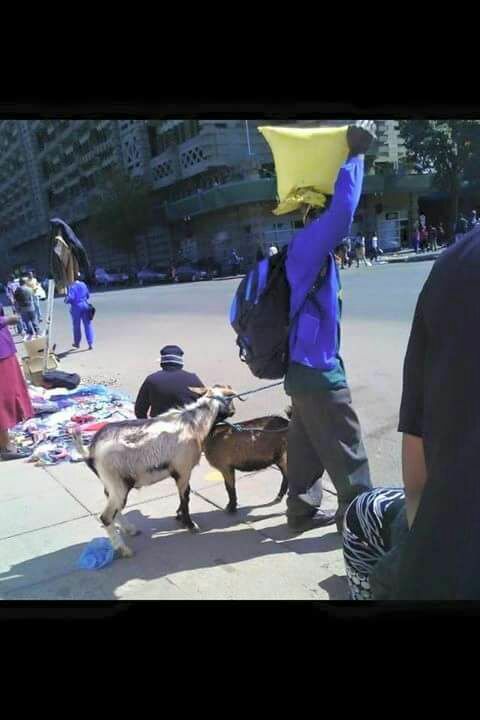 What has gone wrong in Harare? Until the late 1980s, the government supplied safe drinking water to 85 per cent of Zimbabwe's urban population. But decades of neglect and corruption have left the pipes dry, forcing many people to drink contaminated water. A cholera epidemic in 2008 killed more than 4,000 people and sickened another 100,000 in the country. 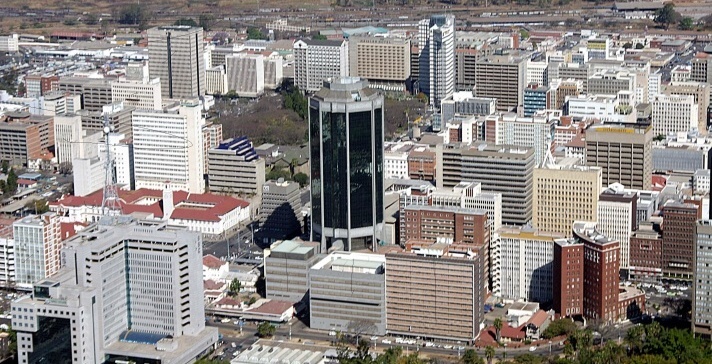 Though Harare has not been spared from the economic crisis Zimbabwe in general is going through, many residents allege that the political logjam at town house has worsened the situation. Local Government Minister Ignatius Chombo is alleged to have taken sides with Town Clerk, Tendai Mahachi, who is being accused of refusing to work with the opposition MDC mayor Bernard Manyenyeni. On Tuesday Manyenyeni shocked fellow councillors and residents by announcing that he was suspending Mahachi indefinitely accusing him of refusing to furnish council with the salary schedule for the city's top executives. Asked by Studio 7 to elaborate, Manyenyeni said he was not at liberty to do so. This is not the first time that Manyenyeni has tried to suspend Mahachi as he did it last year and Chombo rescinded the decision. Studio 7 asked Manyenyeni if he had sought Chombo's approval this time around. Attempts to get a comment from Chombo and Mahachi were futile as they were said to have been locked in an emergency meeting. But deputy mayor Thomas Muzuva shot down reports that Manyenyeni has engaged lone ranger tactics in suspending Mahachi without the knowledge of fellow councillors. Groups representing residents, the Harare Residents Trust (HRT) and the Combined Harare Residents Association (CHRA) both welcomed the decision to suspend Mahachi. Director of the HRT, Precious Shumba, accused Mahachi of stifling development in the city. Chairman of the CHRA, Simbarashe Moyo, concurs. Mabvuku resident, Acqulina Manyeruke, told Studio 7 that residents of Mabvuku have gone for years without running water and they have to resort to other means to get the precious liquid. The cash-strapped Harare City Council has also resorted to attaching and auctioning the property of defaulting ratepayers in a bid to recover over $340 million owed in unpaid rates. Goods being attached include fridges, sofas, generators, television sets, microwaves and bicycles, among others. Shumba says the move is insensitive. But Muzuva says the city has no choice as it has to provide services to the residents. The daily struggle for survival in an economy with unemployment estimated at close to 90 percent has created another problem for Harare as an estimated 20,000 vendors have invaded the central business district, making it an eye sore. Critics say this is a symptom of a collapsing state, where political infighting and corruption are keeping people in poverty and misery. Many blame the political bickering at town house for the decay of a city once regarded as a model for a post-colonial city in a developing nation.